We are actively involved with development projects their focus ranging from socio-spatial to technical. 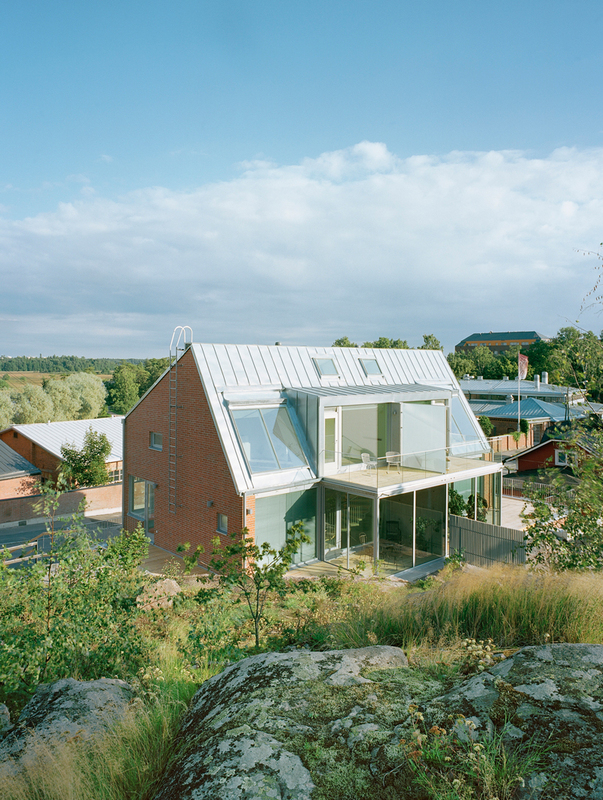 © 2017 karin krokfors architects. 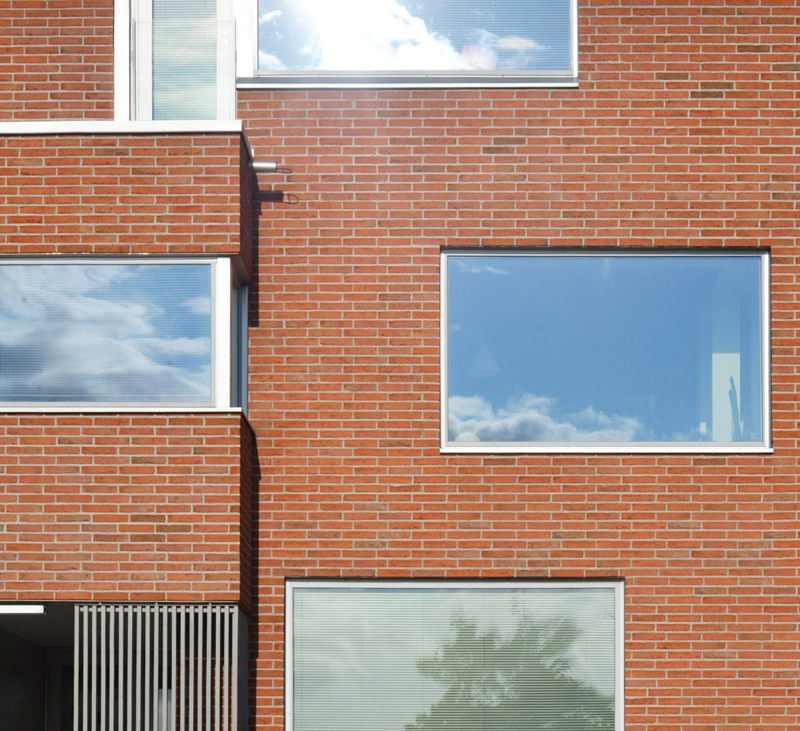 Kellokas is an example of sustainable building approached from a holistic viewpoint. It is an experiment that tries to affect every aspect of the generally acknowledged spectrum of sustainability – the ecological, the sociocultural and the economical. 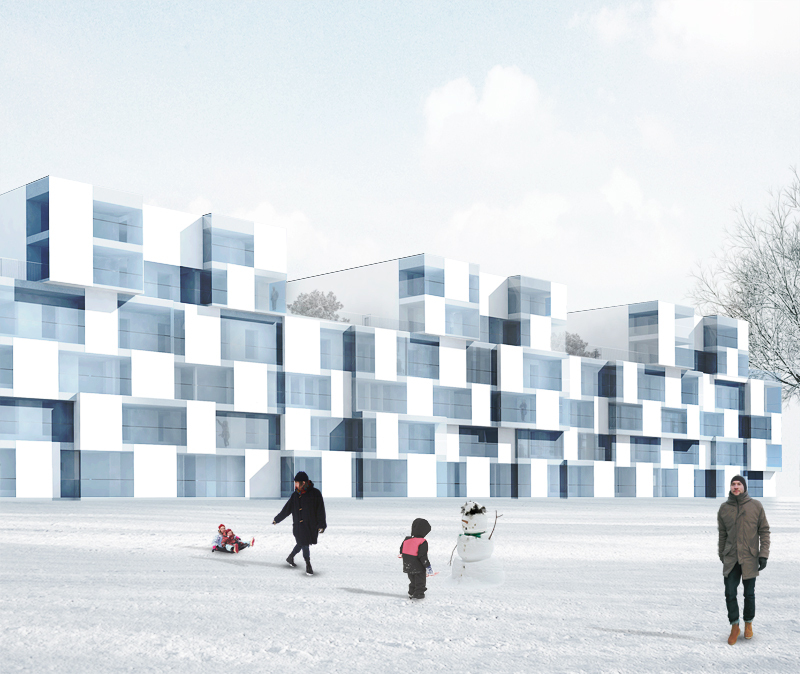 The project is a co-housing development which aims to challenge homogenous housing production. Specifically, the main objectives of the project have been ecology, housing solutions and the possibility to affect the quality of building and the choice of materials. The buildings are also an example of dense townhouse infill building within a preexisting historical context, imposing boundaries and challenges on the ecological approach. For example, the openings are designed according to the demands of the urban context, rather than from a unilaterally ecological starting point. This guided the decision to utilize a system based on renewable energy rather than, for example, adopting the tenets of passive housing. Heating and warm water is produced with renewable energy, almost free of charge. The buildings also form a laboratory for testing a hybrid power solution of solar collectors and geothermal heating. Any excess heat produced by of the solar collectors is transferred into and stored within 200 meter deep geothermal wells. The geothermal heating only kicks in after the amount of useable solar power falls off in winter. Cooling in summer is provided by geothermal heating. The buildings also include heat retaining fireplaces which can work as a part of the heating system. The heat that enters through the large western windows is absorbed and stored in the massive stone structures. The walls are constructed of a massive, breathing stone structure built of ceramic honeycomb building blocks and a traditional solid fired brick (ruukintiili). The structure is healthy – walls that breathe do not gather mould. This provides a healthy indoor environment, composed solely of non-toxic materials. All of the objectives in Kellokas are linked to longevity. For this reason, all the materials have been selected according to durability and quality. The buildings have been fitted to the dense site by adapting to the scale and materials of their immediate environment. The building ratio of the site is as effective as that of a small block of flats, even though the character of the buildings more closely resembles that of townhouses. The objectives of social sustainability in construction have been the longevity of buildings, and adaptability to changes in the long run, both in the urban structure as well as inside the dwellings. Buildings stand the test of time if people find them meaningful and they continue to serve the needs of their inhabitants in an unforeseeable future. The spaces in the buildings are configured and made transformable in such a way that they have become multifunctional and self-organizing. Their functions can shift from living space to workspace or even an office if needed. The building has a strong relationship to street so such changes in function can invigorate the urban structure as well. The buildings can adapt according to the wishes of their inhabitants flexibly and over many generations. Because of this, the inhabitant profile can vary a great deal. 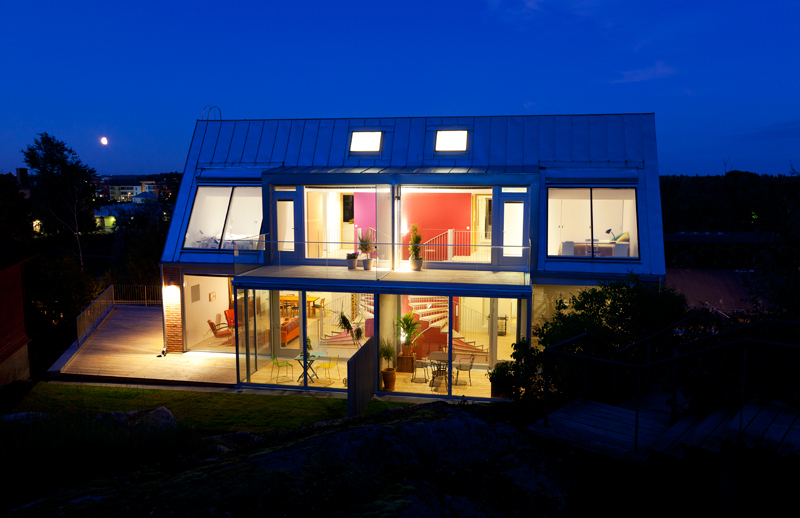 The house type makes both expanding and the contracting the dwelling possible. What enables this is the spatial organization, in which the internal stair can be changed into a stairwell and reserve openings built into the structures can be opened. 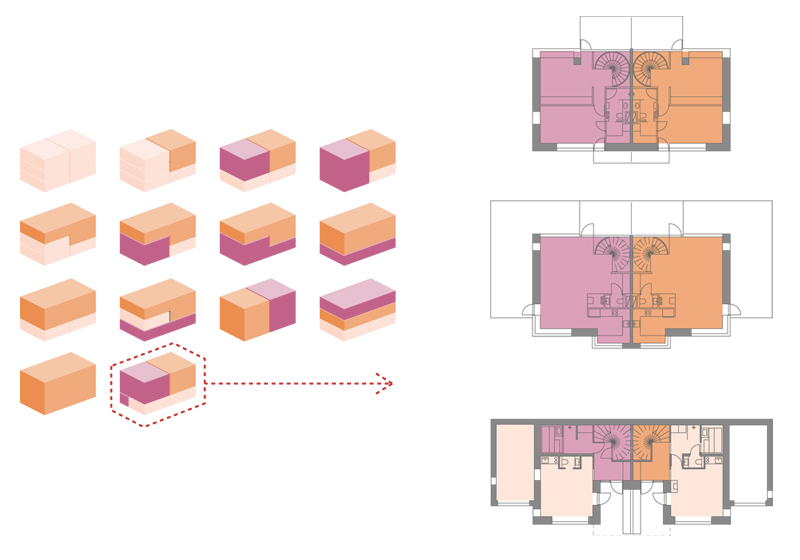 The spaces can be combined and separated from each other, and so people can sell or rent out parts of their dwellings. 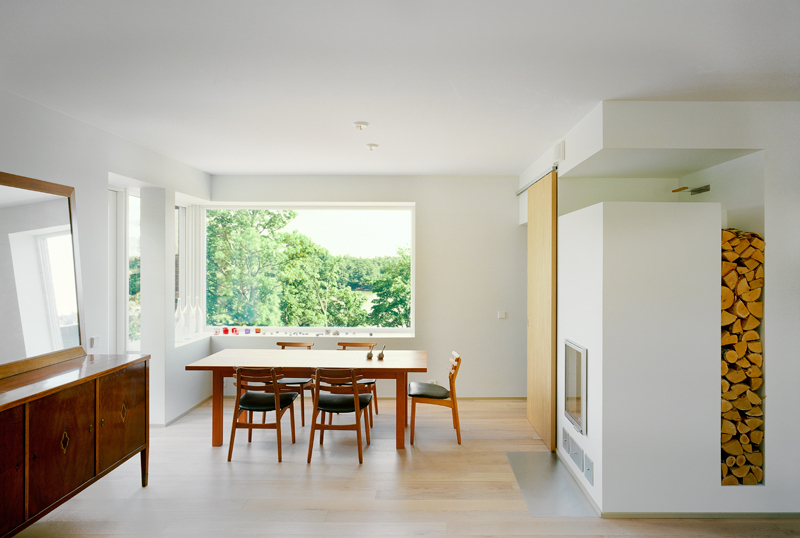 It is possible for example to separate the lowest floor from the dwelling very easily without major changes to the building due to the existing separate entrance. The inhabitants are able to control the amount of risk they must carry due to their long term investment because of the possibility of renting out or selling a part of their apartment without having to relinquish their entire home. This adaptability also enables developers to sell housing in a more flexible manner, better meeting the demand for varied types of apartments.